Ever wondered what it feels like to breath underwater? Join a PADI Discover Scuba Diving experience with us. 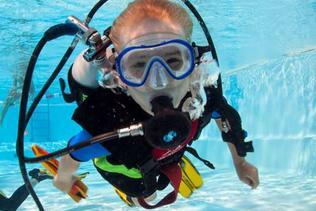 Perth Ocean Diving is a family business, who have been teaching diving around Perth from 2010. 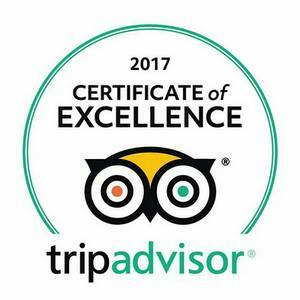 With us, you will discover the magic underwater world with passionate, relax, professional and knowledgeable diving experts. Our priority is keeping you safe while having fun. Learn more about our PADI scuba diving courses and join us for amazing underwater adventures! 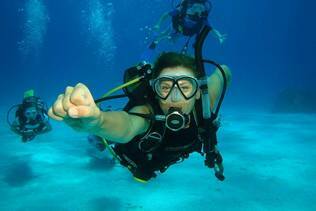 You would love to try scuba diving but are not quite ready to participate to a proper course? 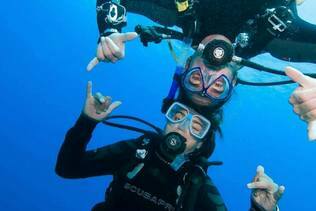 The try dive experience is what you need! 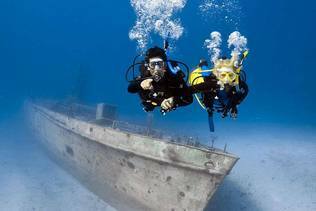 You are dreaming to learn how to scuba dive? The level 1 open water diver course, the most popular and recognized worldwide is what you want to start! 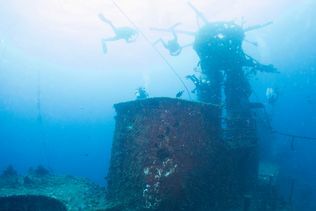 The 3 days course will allow you to go diving independently up to 18 metres of depth. If your child is between 8 and 12 years old, our program diving for kids bubble maker is ideal to offer him/her a magic and fun moment under a 0.5 to 2 metres water. He/she will wear the whole scuba diving equipment adapted to his/her smaller size, will learn to breath underwater, and will have fun doing games. This 2 days course allows you to gain experience and perform your knowledge and confidence, while learning new specialities in diving. The course includes 5 dives, each of them with a different theme, and allows you to dive independently up to 30 metres deep. This course is for certified divers who have not dived for 6 months or more and need a quick scuba refresher before getting back into diving. 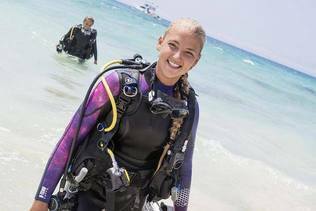 It’s quick and easy, and a good way to prepare for your next PADI course or get ready for a diving vacation. You’ll gain dive knowledge, management and supervision abilities so you become a role model to divers everywhere. “From birth, man carries the weight of gravity on his shoulders. He is bolted to earth. But man has only to sink beneath the surface and he is free”. 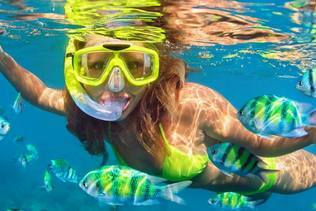 If you are a certified diver or if you like to discover our wonderful reefs while snorkeling, join one of our daytrips. 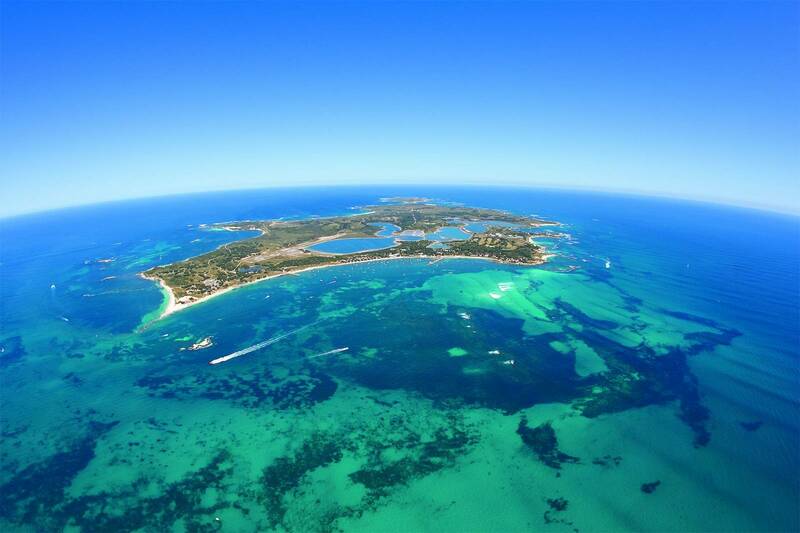 Perth Ocean Diving organises regularly boat dives to the iconic Rottnest island for divers who have at least a level 1 open water certification. The trip includes 2 beautiful dives on-board a luxury 25 metres vessel, all the scuba gear, unlimited food and drinks, and an experienced guide in small groups. Lot’s of caves and marine life to observe! Perth Ocean will take you in small groups (3 to 8 people) to explore the marine life around Perth from the surface. It is an experience of 2 hours in the water, where you will glide above a 1 to 5 metres bottom, with possibility of free diving if you wish to. A wonderful overnight trip to discover the underwater wonders around Dunsborough, the lovely region of Margaret river only 3 hours drive from Perth. Spend 2 nights in a cozy villa and enjoy 5 dives managed by an experienced team.